The Black Barcode: Velvet, Ruffles and Plaid, Oh My! 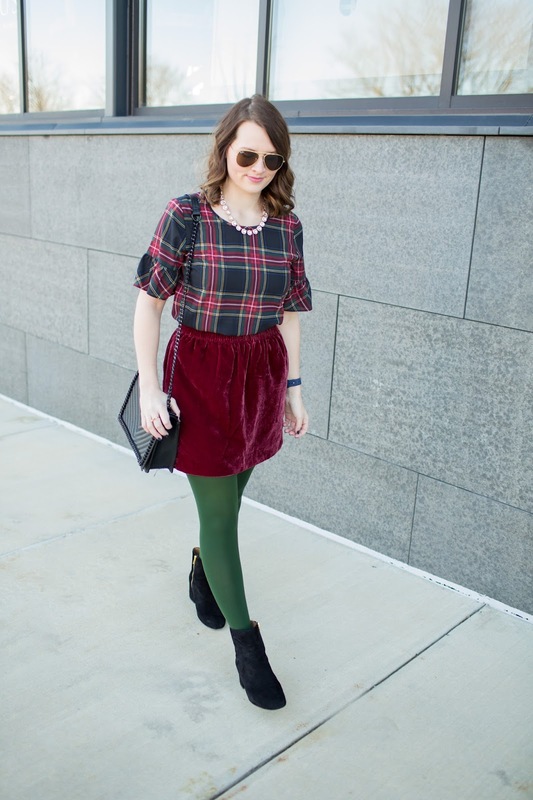 Velvet, Ruffles and Plaid, Oh My! Another super easy holiday look coming your way today! This morning it was freezing when I woke up. We are talking 5 degrees out, so this outfit above may not be the best look for this fridged weather, but it works for holiday parties! The velvet skirt is so soft and comes in a few different colors. I originally thought I bought it in black but glad it came in this red/ cranberry color. I don't have many plans for today, just making some returns and working. I need to finish up a project, but it is one of those things I'll probably save until last minute because my brain is fried. Wish I could do a spa day or something! Have a wonderful weekend! I love this velvet skirt! This outfit is so festive!!! All three of my favorite things in one outfit! I love ruffles and velvet right now! 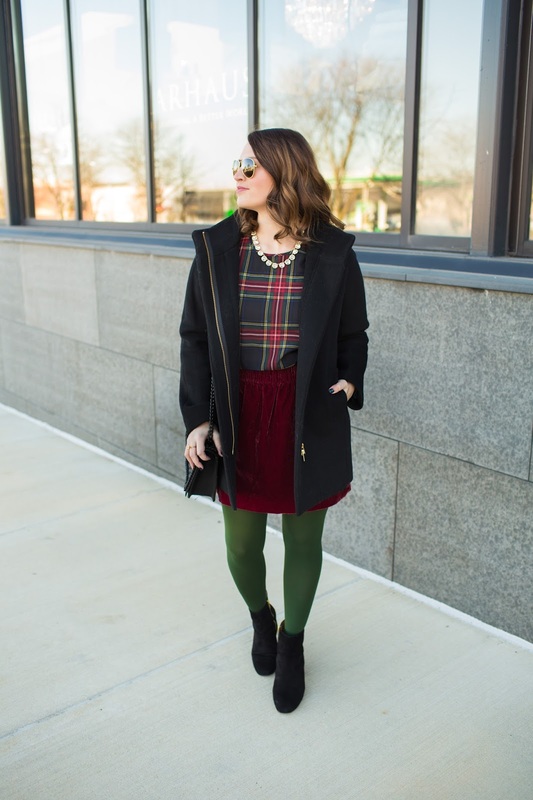 This velvet skirt and plaid shirt combination is just perfect! Such a festive outfit! I love that skirt and shirt combo. You look so cute but festive. What a fun and festive outfit! Super cute! This outfit screams Christmas!! Love that velvet skirt. 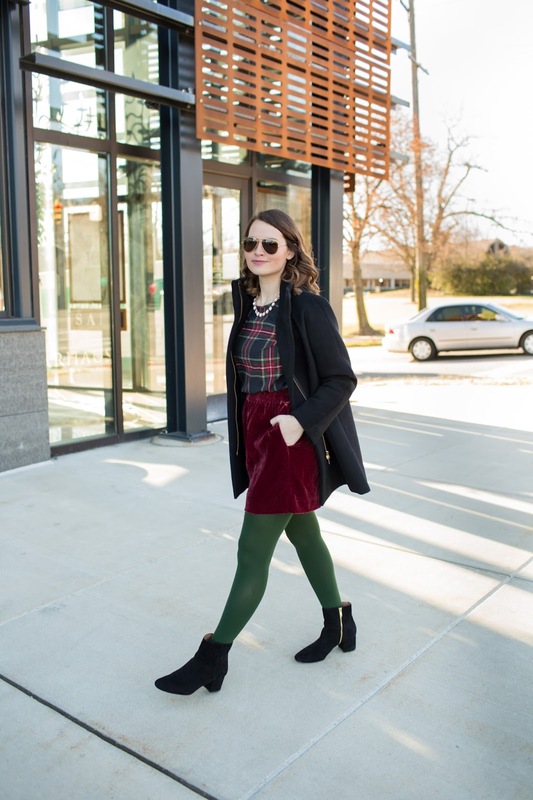 Such a festive holiday look, I'm especially loving the velvet skirt and tartan top!